The winner of the 2015 American Prize in band conducting and lauded by Iowa Public Radio as “a major figure in Iowa arts, Brian Hughes is a very active conductor both at home and abroad. Following his European conducting debut with the Northern Iowa Chamber Winds in Eger, Hungary (1993),he has led ensembles in the Czech Republic, Poland, Romania and Russia. He founded the Tri-State Wind Symphony of Dubuque, Iowa in 1995 and has led that organization through its twentieth season of substantive growth. 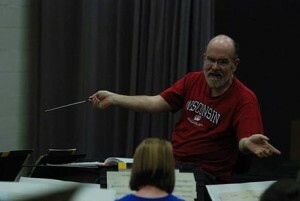 Since 2007, Hughes has served as Music Director of the Quad-City Wind Ensemble, Davenport, Iowa. He is in the midst of his third season as Director of the Bettendorf (Iowa) Park Band. 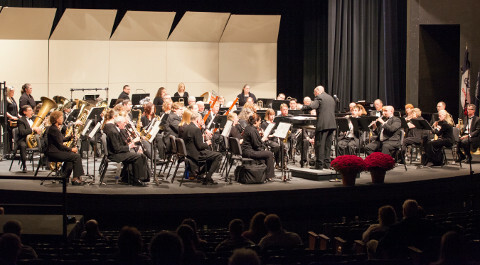 Under Hughes’ leadership, the Quad City Wind Ensemble won the 2012 American Prize for Outstanding Wind Performance. In 2014 the QCWE presented a very well received concert at the prestigious Iowa Bandmasters Association Conference in Des Moines. In 1994, only a year after relocating to Dubuque, he was offered the conductor’s position with the Dubuque Youth Symphony. In recognition of the quantitative and qualitative work with the DYS, Maestro Nicholas Palmer appointed him as the first-ever Assistant Conductor of the Dubuque Symphony Orchestra. In that role, he led several pops concerts and was solely responsible for the design and implementation of the orchestra’s “Arts Trek” educational series. Hughes has also led the Dubuque Community String Orchestra on numerous occasions and has led clinic, concert, and festival performances in Iowa, Illinois, Wisconsin, and Pennsylvania. As a school music teacher, Brian has held positions as a band, orchestra, and choral educator in Iowa and Illinois. For 15 years he was a faculty member at Loras College, Dubuque, serving seven years as department chair and another six heading up the institution’s Arts and Lecture Series. He formerly served as a graduate associate conductor, staff conductor, and associate lecturer at the University of Wisconsin-Madison, where he led the University Symphony, Chamber Orchestra, Contemporary Chamber Ensemble, and University Band. His support of new music is demonstrated by his 15 first performances since 1998. 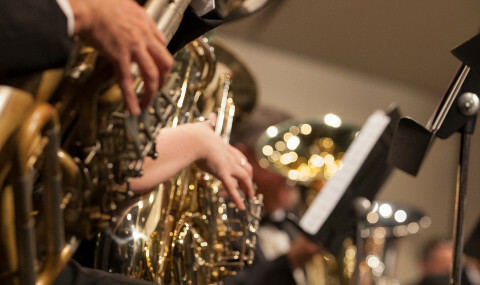 In February 2016, the Quad City Wind Ensemble’s “Musica Nova” concert will highlight music composed after 2001. With degrees in music education and conducting from Olivet College (Michigan) and the University of Northern Iowa, he earned the Doctor of Musical Arts Degree in Conducting, with a minor in musicology, from the University of Wisconsin-Madison. His doctoral research project is a conductor’s guide to the Variaciones Concertantes of Alberto Ginastera. In addition to his recent honors, Brian has won conducting prizes from the Hradec Kralove Philharmonic and the West Bohemian Philharmonic, both in the Czech Republic. He is a two-time winner of the Richard and Agatha Church Conducting Prize, presented by the University of Wisconsin-Madison. In recognition of his “outstanding contribution to the arts,” he was presented the 2005 Elisha Darlin Award, given by the Dubuque County Fine Arts Society. Brian lives in Dubuque, IA with his precocious daughter, Caitlyn. In his spare time, he can be found in the kitchen, glass in hand, dreaming up delicious delicacies in his favorite utensil: the wok.